The region comprising the Jind district formed boundary of the holy region of Kurukshetra and as such many holy places connected with tradition or referred to in religious literature are located in the district. Many of these places are mentioned in the Mahabharta, the Vamana,the Narda and the Padma Purans. The town, headquarter of the district of the same name is situated on the Ferozpur-Delhi section of the Northern Railway, 123 kilometers away from Delhi and 57 Kilometers from Rohtak. It is also connected by road with Delhi, Patiala, Chandigarh and other important towns of the state. Tradition assigns the settlement of the town to the Mahabharta period. According to the legend, the Pandavas built here a temple in honour of Jainti Devi(the goddess of victory) and offered prayers for success in their battle against the Kauravas. The town grew up around the temple and was named Jaintapuri) abode of Jainti Devi) which in course of time corrupted to Jind. Jind is noted for its numerous temples sacred to the worship of Shiva. Raghbir Singh, ruler of Jind, built a temple known as Bhuteshvara temple, with a large tank around it, locally known as Rani Talab. It has been renovated and a tourist complex has been built nearby. The other places of worship are the temples of Hari Kailash , tanks of Surya Kund, Jawala Maleshvara tirath. There is a shrine of Shah Walayat where an annual urs is held. There is also a gurdwara in the sacred memory of Guru Teg Bahadur who on his way to Delhi stayed here for sometime. 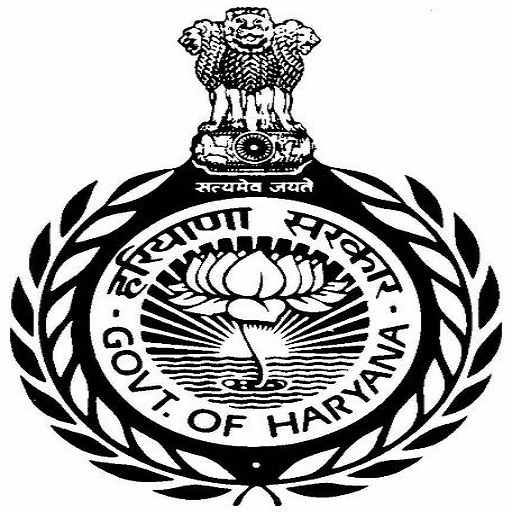 The town developed fast after the formation of Haryana and is a well provided town of the state. The town has a Arjun stadium, milk plant, cattle feed plant, Bulbul restaurant and a large grain market. There are facilities for the stay at PWD rest house, canal rest house and market committee rest house. The town is well provided with schools, colleges, hospitals and other basic amenities. The village is situated about 6.5 KM from Jind on Jind-Gohana road. According to a legend, the Pandavas offered here pinds to their forefathers and hence the popular name of the village is Pandu Pindara. A fair is held on Somavati Amavas. Ramrai is located on Jind-Hansi road, 8 Kilometers west of Jind.Ramrai or Ramahrada is a traditional south-west Yaksha of the Kurukshetra region. It is connected with the mythological story of Parsurama who after the annihilation of Kshatriyas, filled five pools with their blood and propitiated his forefathers there. It is believed that a bath at Ramahrada tirtha and Sanet tirtha is very holy. There is an old temple of Parsuram where he is worshipped. It is situated about 10 KM East of Narwana on Narwana-Tohana road. Dhamtan is the corrupted name of Dharamsthan (religious place). It is said to be the ashram of Rishi Valmiki and venue of Asvamedha yagya of Lord Rama. Guru Tegh Bahadur, the ninth Sikh guru stayed here on his way to Delhi and a fort like gurudwara was built in his memory. There is also another gurudwara know as Manji Sahib. Tradition connects the place with Rishi Kardam who practiced penance (tapasys) here for many years. His son Kapilamuni took birth and composed Sankhya Shastra here. Its name is said to have been derived from the tradition that Brahma came here to attend the marriage of Kardam Rishi on the back of a hans (goose). The sacred Saraswati is said to have flowed by the place and Pandavas come here and offered pinds to their forefathers. A Shiva temple and Bindusar tirtha is located here. The people worship Shiva and come in great number on Somavati Amavas to take holy bath in the tank. It is the headquarters of the sub-division and tahsil of the same name and is connected by rail as well as road. It is situated 37 kilometers northwest of Jind. Narwana is said to be the corrupted name of the word Nirvan’ which means salvation. There is a tomb of Sufi Saint Hazrat Gaibi Sahib who is said to have miraculously disappeared in ground. There is a tank around the tomb. The town has PWD rest house, canal rest house, schools, colleges, hospitals, bus stand and other basic amenities. The town is situated on Jind-Patiala-Chandigarh road, it is a railway station on Delhi-Ferojpur railway line. There is a famous Dharmarth eyes hospital built by a Sanyasi Ganesh Nandh through public donation. The other places of public utility include a milk-chilling centre and a big grain market. The town is the headquarters of the tahsil of the same name. It is situated on the bank of the Hansi branch of the Western Jumna Canal, 35 kilometers North-East of Jind. The place is possibly the site of Sarpadevi or Sarpidadhi referred in Mahabharta and Vamna Puran. It is associated with snake sacrifice of Janamejaya son of Parikshit. The latter lost his life in the struggle against the Nagas of Taxile, which was later avenged by his son Janamejaya, symbolised in the epic tradition of Sarpasastra (snake sacrifice) which possibly took place at Sarpadevi. There are three ancient temples and tirthas of Negesvara Mahadeva, Nagadamni Devi and Nagashetra. It has a rest house, schools, hospital and other basic amenities. It lies at village Assan, 14 kilometers east of Jind and is associated with the Vedic twin deities Asvins. Bathing here on Tuesday has sanctifying effect. It is mentioned in the Mahabharta, Padma, Narada and Vamana Puranas.